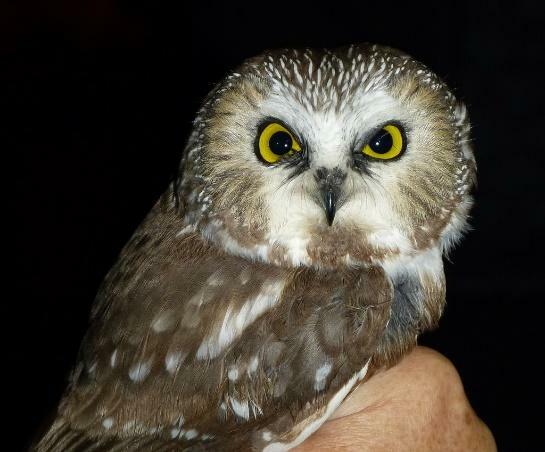 February’s Sweetheart Owl Prowl at Shaver’s Creek was another resounding success! Over fifty people attended the program (thank you to those who attended!). Nobody heard any owls out on the trails or in the woods; however, I did have another terrific opportunity to help teach people how to call out for owls. For those of you who were unable to attend the event or are just curious about this topic, here are some tips for your first—or next—owl prowl adventure. First: do your research. Find out which owls are most likely be in the habitat you choose. 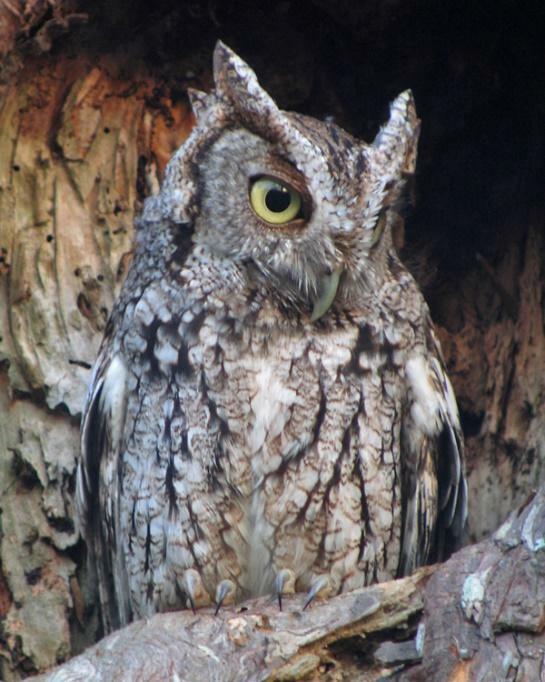 For example, screech owls are usually found in open forests, orchards and suburban woodlots. Barred owls are usually found in mixed forests near bodies of water. If you have owls in your neighborhood, then you are off to a great start! Learn and practice owl calls before heading out. There are numerous sources to retrieve sound files of specific owl calls. Choose a low-wind, clear-sky or mostly-clear sky evening with no precipitation in the forecast. Owls tend to not call out during rainstorms or snowstorms or in windy conditions (one exception would be a female calling out to her young to warn them of any dangers). Plus, sounds tend to carry better during calm conditions than in stormy conditions. Dress for the weather. Even though most owl species can be found year-round, the best time to call out for owls is from January through April or October through December, when most owls are either establishing territories and/or beginning courtship calls. Make sure to wear an ample number of layers and comfortable hiking shoes or boots if you will be out in cold weather or on wet, slippery trails or walkways for extended periods of time. Choose a wooded area, field, road or trail where there are few or no light sources. Bring a flashlight or wear a head lantern to illuminate where you will be walking. Turn off your light source when you find a location to call out for owls. Bonus: if you know an owl has come close to you, you can use the flashlight or lantern to try to find the owl. Speak in whispers and walk as quietly as you can. Talking out loud and walking on surfaces like iced-over snow or lots of branches will alert owls (and other creatures!) to your presence and scare them away. When choosing an owl to call out to, always call out for the smaller owl species first and then progress to the larger owls. 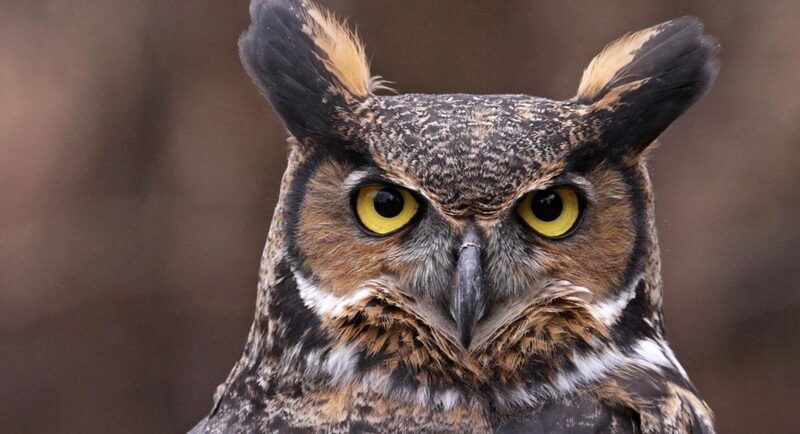 For example, if you call out for great-horned owls before you call out for screech owls, the latter will not respond because they are potential prey for larger owls and are averse to advertising their presence if they hear larger owls in their territories. Be patient. Make sure to pause a few minutes after you do your first round of calls. Listen carefully, as owls may call out from a substantial distance away from your position. If you do receive an owl call, respond in kind and wait for the owl’s return call. If the owl (or owls) continue to respond to your calls, see if you can draw he/she (or them) closer to you. If not, just enjoy the exchange! If you do not receive an owl call, either try again a few more times or try another owl species’ call. If, after several minutes, you do not hear any owls, try another location. Sometimes even with the most ideal weather conditions and careful planning, owls will not call back. Do not despair, the wonderful news is that during this venture you are honing your calling and responding skills! You can always try again another evening.